You have undoubtedly heard of a little thing called “social media.” From Facebook to Instagram to LinkedIn, there are a variety of platforms to both share and receive information. Though the social media craze may have begun as a fun way to keep tabs on friends and family, it has since switched gears, allotting for more professional opportunities. Specifically, homebuyers are now using social media platforms to find new homes. As a real estate agent, you, too, should be taking the time to build a social media strategy. What do you have to lose, exactly? You may even gain a new client or two! How Social Are You on Social Media? For better or worse, times have changed. According to a recent study, 94 percent of millennials and 84 percent of baby boomers use some sort of site to search for their future home, including social media. However, the problem lies in the fact that the real estate industry only responded to 11 percent of social media inquiries during Q1 of 2017, and ranked number four on the list of Top 10 Most Annoying Industries on Social Media the previous year. 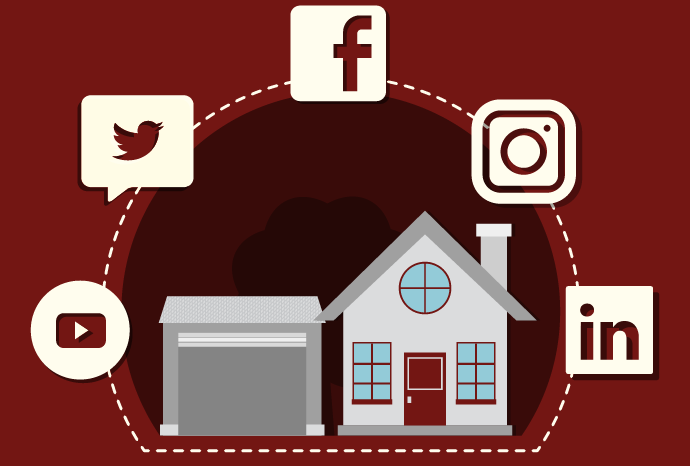 In order to have a successful real estate business, it is imperative to be active on social media. Not only do you need to use platforms for promotional purposes, but you should also use these same platforms to engage with potential clients, to build up a relationship. The process does not have to be hard, and can actually be quite simple and fun! 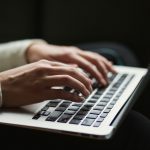 Below, you will find three helpful marketing tips to assist you in growing your real estate social media presence. Remember, first and foremost, have fun! It is very easy to tell whether or not your presence on social media is authentic. Again, you want to establish a relationship with these potential clients. And what is the best way to do that? Be yourself. The more personality you show, the more you will stand out from other real estate agents. Let people get to know you, so in turn, they will want to work with you. It should come as no surprise that people love pictures . . . and they really love videos! So, use pictures and videos to tell stories about yourself and your business. Instead of writing a Facebook post to detail a new property listing, share a picture or video to actually show the property. But, before you do, remember step one: authenticity. There is no need to hire a professional cameraman or videographer for the project. You have a smart phone, right? Use it! Be real. If you want to engage with more people, consider creating a contest or sweepstakes for both current and potential clients. This is a chance for you to have some fun, to really get creative. Both contests and sweepstakes are great ways to develop relationships, get to know clients, and, most importantly, promote your real estate social media presence. Further, contests and sweepstakes show that you are offering something, giving back, and not just trying to expand your business. If you were looking for a real estate agent, what would you hope to find? Would you use social media to locate the perfect agent for your needs? Consider what current or potential clients want and need, and then use those ideas to build up your social media real estate presence. The process does not have to be too time consuming, and if you are truly being authentic, you should even have fun and enjoy the work. From live chats to sharing insider tips and advice, until you experiment with different techniques, you will never know what does or does not work. So, get started today – right now – and learn to love social media real estate marketing!